Protein blend (caseinate, whey protein), milk solids, fibre (inulin), vitamins and minerals (calcium, phosphorus, magnesium, vitamin C, iron, vitamin E, zinc, vitamin A, iodine, vitamin D3), flavours, guarana extract, gellan gum, sodium-dibasic, cellulose gel, carrageenan, cellulose gum, sucralose, ginseng extract, green tea extract. 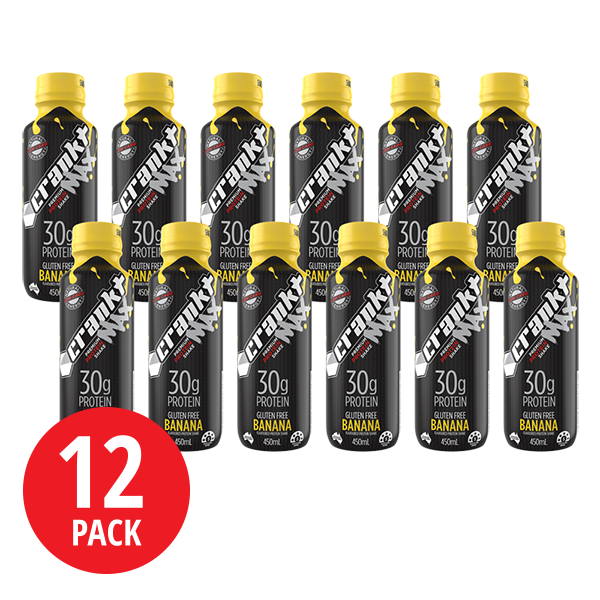 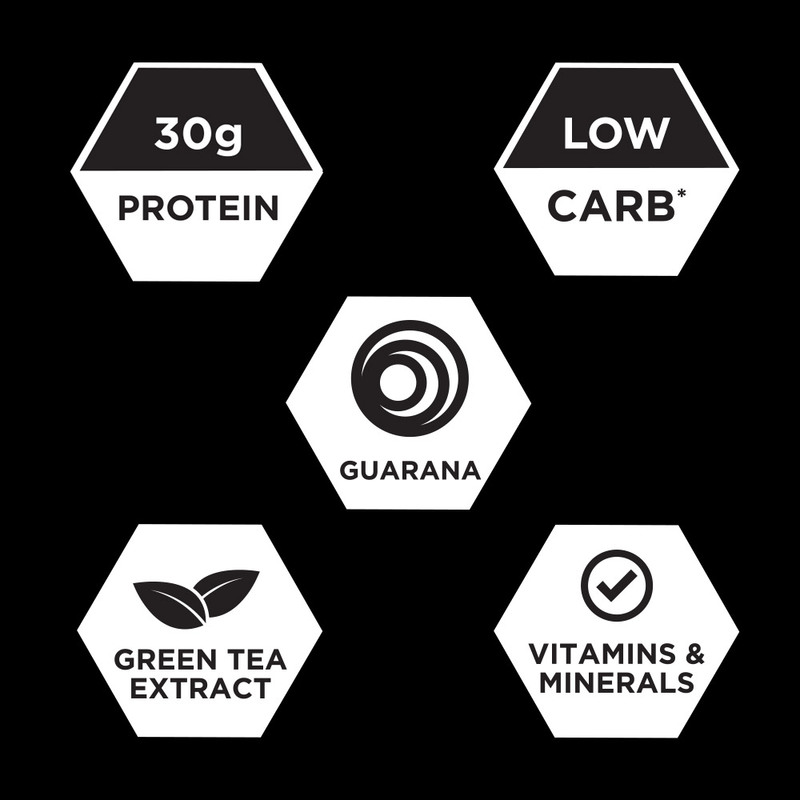 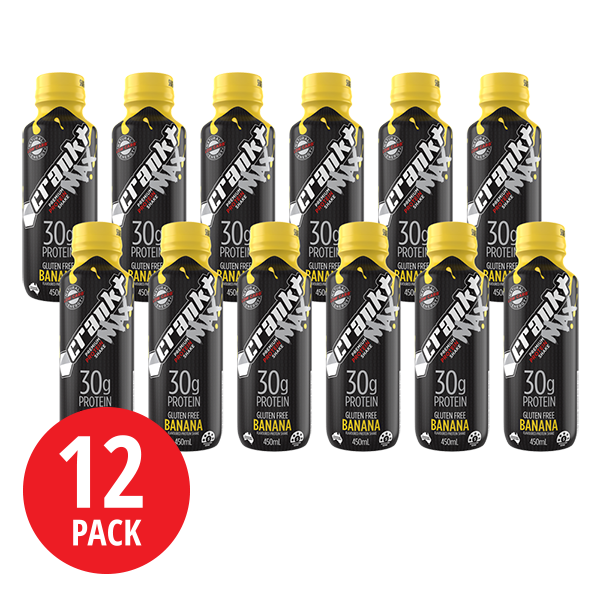 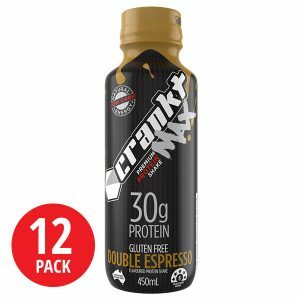 Contains ingredients derived from milk, coffee beans, green tea & guarana extract (product contains caffeine). 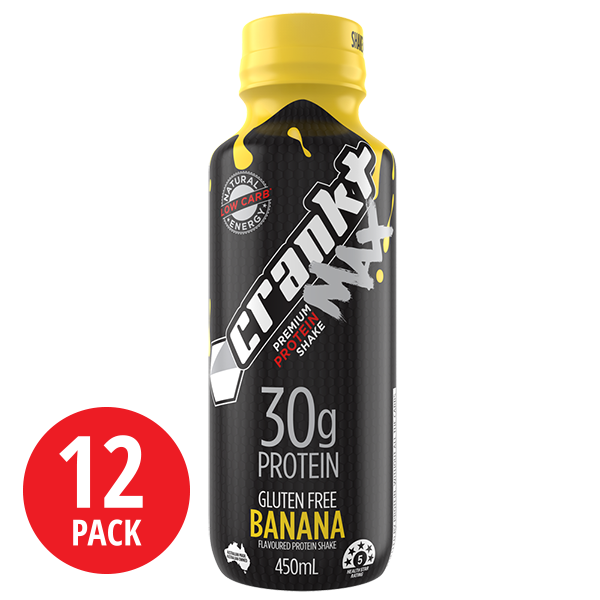 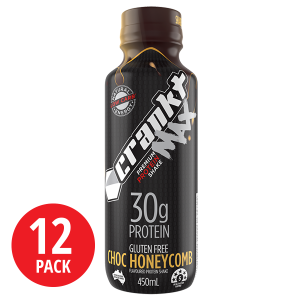 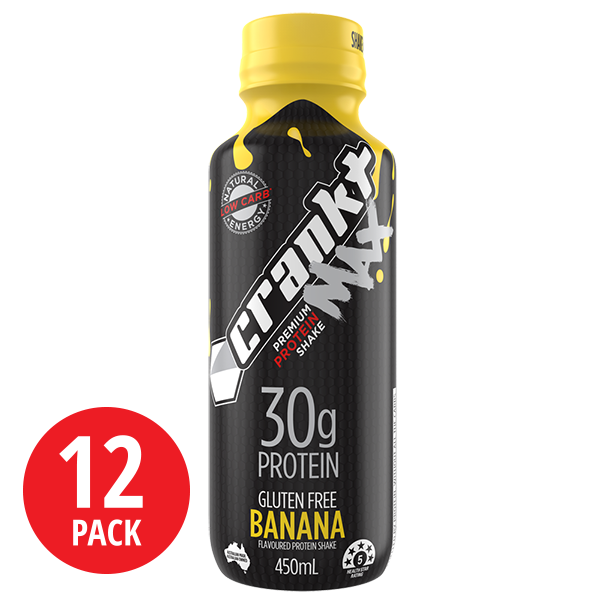 Formulated Supplementary Food: Crankt Protein Shake is intended to supplement a diet that may be low in energy or vitamins and minerals. 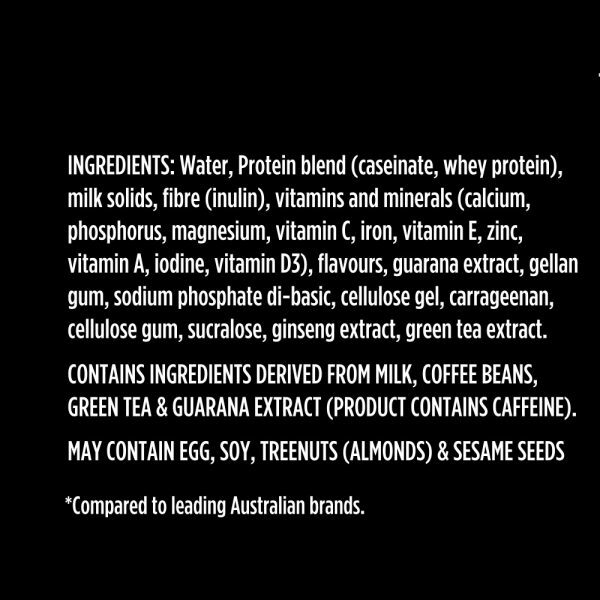 Product contains caffeine. 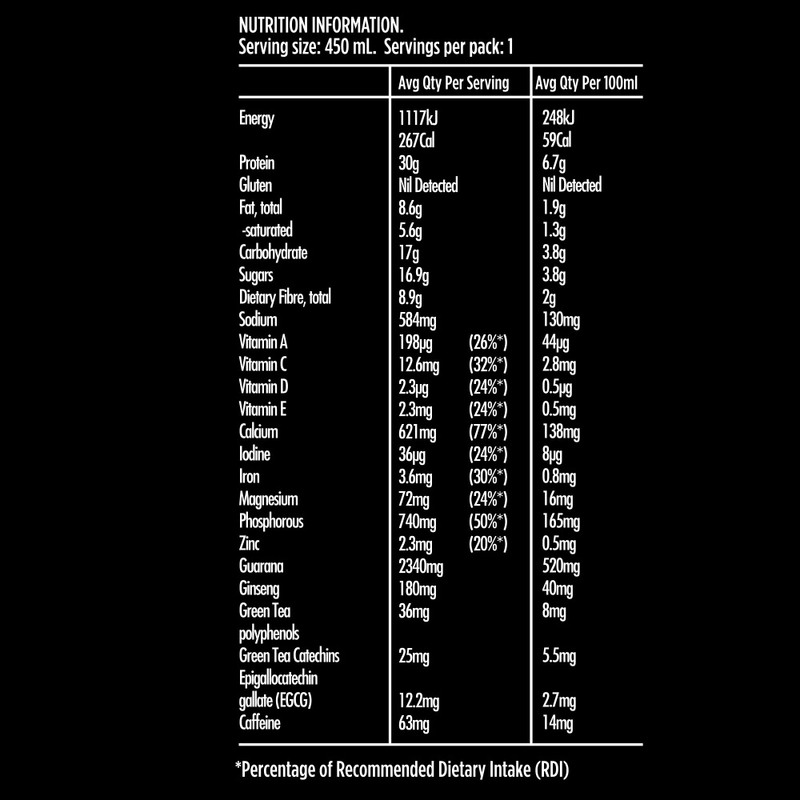 Store below 25 ̊C. 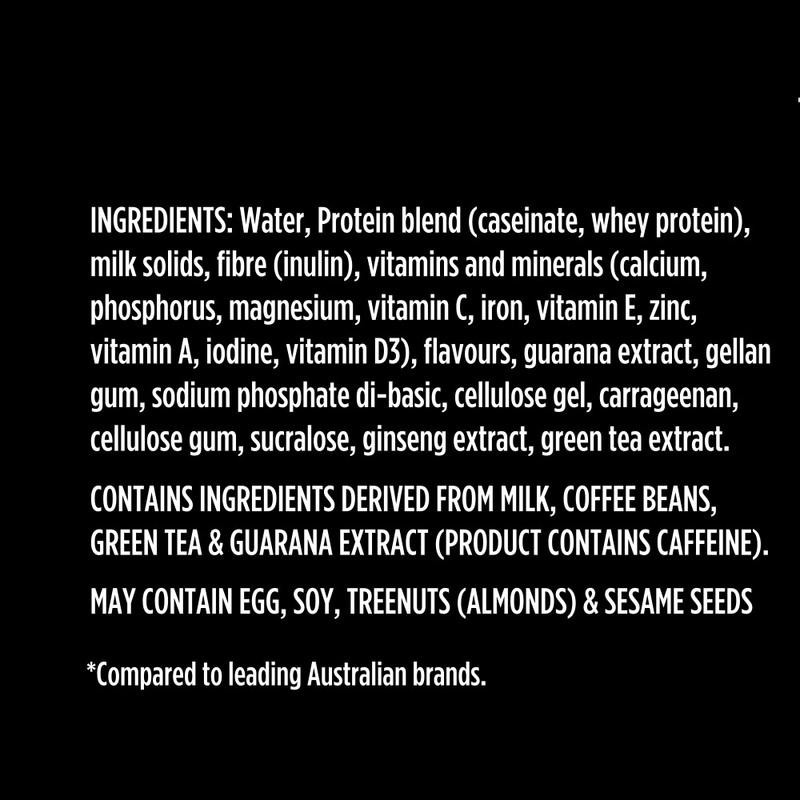 Shake well before opening, consume immediately.